Brooklyn-based Afrobeat band Antibalas have been around for some time now. This is their 6th studio album and first for 5 years. Although the overall sound is not overtly different to their past few albums, they seem to have more of a concept in mind for this one. On an album where there is essentially only 3 tracks, the songs and the concept has to be strong and this is definitely the case with Where The Gods Are In Peace. Side one contains two long tracks, the pulsating 11 minute 'Gold Rush' which certainly starts the album strongly in a driving, rocking fashion. 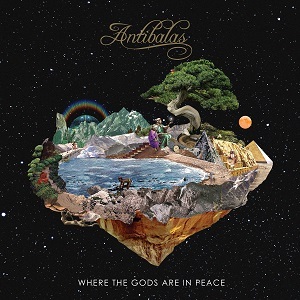 The 2nd tune, 'Hook & Crook', keeps the momentum going in true Antibalas and Afrobeat fashion with great syncopated drumming and call-and-response vocals. Side two is dedicated to one tune in 3 movements, 'Tombstown'. Running at over 15 minutes, this tune is a slow burner which really gets going in the 2nd movement with a great vocal performance from Duke Amayo and a guest appearance from Zap Mama. The album is compelling from start to finish and gets better with every listen. Hopefully they will be bringing the live version to Australia sometime soon. Deep Leads is about buried and hidden things. Mining the land, the body and mind. Old rivers of feeling. Poison / panacea. Extraction / preservation. Escapism / courage. Deep sleep. Cycles of decay and return. 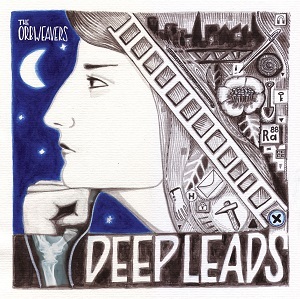 To use this geology as a metaphor, Deep Leads is the underlying layer to Orbweavers previous album Loom. Where Loom explored the basalt bed and surrounds of the younger Merri Creek waterway, Deep Leads heads underground and within, exploring industrial, agricultural and personal histories (Blue Lake, The Dry, A Very Long Time) , heavy and precious metals (Radium Girls, Mine), internal realms of escape and quest (Poison Garden, Cyclamen, Nitrates). The album was mixed by the banks of the Merri in East Brunswick by James Cecil at Super Melody World, and mastered just uphill to the west, on Brunswick high ground, by Adam Dempsey at Deluxe Mastering Melbourne. Mikey Young - You Feeling Me?